The kids had a bunch of boards, some old nails, a hand saw, and a few hammers. They also had the two most important ingredients, the desire to make something and the freedom to do so. They spent an afternoon planning their tree fort, enthusiastically arguing over whose plan was best. Their first few attempts failed spectacularly. They were undaunted, even bragged a little bit about the noise the boards made falling down. Several of them asked family members for advice. A few others paged through books and watched YouTube videos as they tried to figure out basic construction techniques. They started again, measuring more carefully as they built a frame. The process took much longer than they’d expected but they stuck with it. When they ran out of materials they scavenged tree lawns on garbage pickup day, dragging back pieces of wood. They got a few cuts and bruises. They were proud of those too. As they worked they talked about how they’d use their clubhouse. It didn’t occur to them how much they were learning. Conventional thinking tells us that children benefit from the newest educational toys and electronics, lessons, coached sports, and other adult-designed, adult-led endeavors. Well-intentioned parents work hard to provide their children with these advantages. They do this because they believe that learning flows from instruction. By that logic the more avenues of adult-directed learning, the more their children will benefit. But learning has much more to do with curiosity, exploration, problem solving, and innovation. For example, if baby encounters a toy she’s never seen before, she will investigate to figure out the best way or a number of different ways to use it. That is, unless an adult demonstrates how to use it. Then all those other potential avenues tend to close. Studies show that “helpful” adults providing direct instruction actually impede a child’s innate drive to creatively solve problems. This experience is repeated thousands of times a year in a child’s life, teaching her to look to authorities for solutions, and is known to shape more linear, less creative thinking. That’s true of a baby as well as older children and teens. Young people are also cued to ignore information that is too simple or too complex. Research indicates that people are drawn to learn from situations that are “just right” for them. They may make plenty of mistakes along the way, just as babies fall when learning to walk, but facing those challenges and making those mistakes are pivotal steps in maturity. 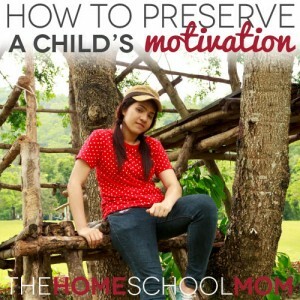 It’s also well-known that a child’s natural motivation tends to diminish in adult-led activities. Unless they’ve been raised on a steady diet of ready-made entertainment, children are naturally drawn to free play. They pretend, make up games, daydream, wonder, and launch their own projects. They are discovering not only the world around them but a rich inner life as well. Of course adults are vital to young people’s lives. They provide safety, guidance, love, and much more. Kids know they can ask trusted adults for help or advice. They do so more eagerly when they recognize these adults won’t overwhelm them with information, quiz them on what they are learning, or take over. Adult responses simply need to stay in proportion to a young person’s request. For an example of how powerful the drive to discover can be, let’s take a brief detour to two Ethiopian villages. These places may be rich in intangibles like family and tradition, but they are poor in every other way. The illiteracy rate is practically 100 percent. There aren’t even written words around for children to see: no books, no labels on packaged foods, no street signs. That’s where the One Laptop Per Child (OLPC) project dropped off 1,000 tablet PCs with solar chargers. They weren’t handed out in a school, but to kids. The devices were pre-loaded with English-language operating systems and software that tracked how the tablets were used. The boxes were taped shut, with no instruction given at all. In less than five minutes, one child (who’d never seen an on/off switch) powered up a system. The kids collaborated as they learned. Within a few days they were using 47 apps per child, within five months they were taking pictures. That took a while since the kids had to teach themselves to hack Android because the tablet cameras were mistakenly deactivated. The OLPC project is finding, all over the world, that kids are learning to read and speak in multiple languages. They easily search, program, and connect using inexpensive tablets. These kids are also teaching adults in their villages to read and use computers. They’re doing it without adult instruction. So how did our fort-builders do? They had three sides framed and were working on the fourth when one boy’s father stepped in to help. His help may have been welcomed if they’d asked or if he simply contributed to the team effort, but this very well-meaning man decided the kids weren’t doing a good job. He took over, telling the kids to re-do some of their work and to build the rest of it according to his instructions. They did, but without much gusto. The resulting fort was more sturdily built yet they only used it a few times. A year or so later they scavenged some boards from it to make a go-cart, and then another go-cart. This time they welcomed the help of another child’s grandfather who worked alongside them, learning together as the project unfolded. Their enthusiasm had returned. Tending (affiliate link). She writes about learning, sustainability, and hopeful living for GeekMom.com, Mothering.com, and her blog. She lives with her family on Bit of Earth Farm where they raise cows, chickens, honeybees, and the occasional wild scheme. She's slow at work on her next book, Subversive Cooking, and recently published Blackbird (affiliate link), a book of poetry.